Magic Software Inc. is leading technology development company that focuses on bringing digital solutions to different industries. Currently, Magic Software Inc is parent to four different solution initiatives that serve different industries. 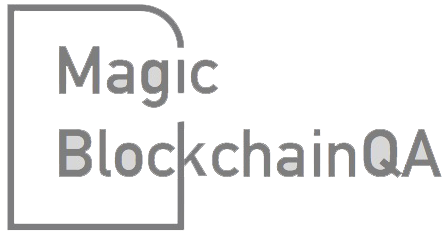 MagicBlockchainQA, a new venture by Magic Software Inc., is world’s first ever dedicated testing company that helps blockchain ventures to launch themselves without worrying about quality or compliance. MagicBlockChainQA intends to take full ownership of testing from businesses that are busy building Blockchain applications for their customers. Magic Blockchain QA team brings its experience of testing blockchain solutions, partnering with industry players and using its strong knowledge of the financial services industry to provide effective feedback to the blockchain product development teams. While our clients focus on the product evolution, our teams ensure there are no issues that can hamper Go-Live deadlines for any blockchain application. Magic Software Inc has invested in leadership that has vast industry experience in the growing and operating ventures within technology sector and leveraging global talent pools. Magic Software leadership team has built reusable frameworks and technology IP that focuses on delivering digital solutions. Magic has specifically build expertise in building digital solutions that leverage content digitization and unstructured / alternative data. The digital solutions will leverage digitization, and automation frameworks and tools with the idea of improving the outcomes(i.e. Learning outcome or Operational Efficiencies) in a specific function(K12 STEM or Trading) within an industry(Education or Financial Services).